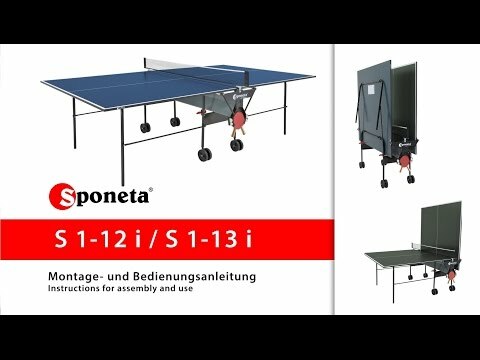 The Sponeta Hobbyline Outdoor Table Tennis Table is a basic entry level table and only has a 4mm resin table top. The frame and legs aren’t very strong and we think that the storage position is untidy and not as stable as with other brands. Only two of the wheels are fully rotational, meaning that it needs a large turning space. The Sponeta Hobbyline Outdoor does offer very good weatherproofing though, and it has playback for solo practice and bat and ball storage for convenience. We feel that this table is expensive when compared with the Cornilleau Sport 100S which offers a better play quality and leg levellers. The 100S also has a better folded position.